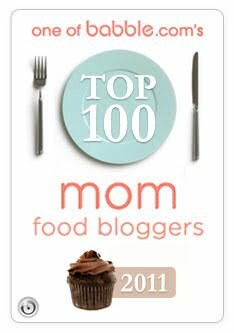 Shocking announcement here... ok, not really, but I looooove chocolate mousse. Coming from a chocolate loving fanatic that really can't qualify as shocking at all. What does surprise me is the number of people who have never tried making this at home. It is one of the easiest and most satisfying desserts in my arsenal. You can use it as filling for cupcakes or cake, eat it alone or with whipped cream and when you serve it in pretty glasses it is probably one of the most elegant desserts out there. Then there's me. Jam jars were my portioning vehicle of choice this time around - probably not the most elegant choice, but it got the job done and the half-pint jars were exactly the right size for four servings. This mousse is fairly rich though and next time I will probably go ahead and portion it out into six servings after all. As it was, I was the only one able to finish my jar - but then, there was no way I was letting any of it go to waste! 1. Place a double boiler or small saucepan over low heat, and melt butter and chocolate together. Just before chocolate finishes melting, remove pan from stove, and beat chocolate with a wooden spoon until smooth. 2. Transfer chocolate mixture to a bowl, and beat in egg yolks with a whisk. Place bowl in refrigerator. 3. Beat egg whites with half the sugar until they hold stiff peaks but are not dry. Set aside. Beat cream with the remaining sugar and vanilla until it holds soft peaks. 4. Stir a couple of spoonfuls of the whites into chocolate mixture to lighten it a bit, then fold in remaining whites thoroughly but gently. Fold in cream, and refrigerate until chilled. 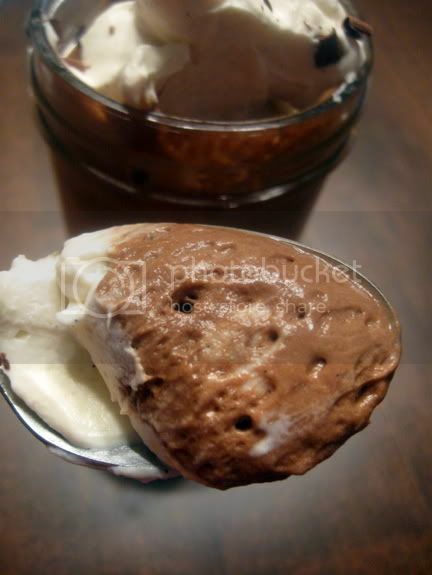 If you are in a hurry, divide mousse among six cups: it will chill much faster. Serve within a day or two of making it. 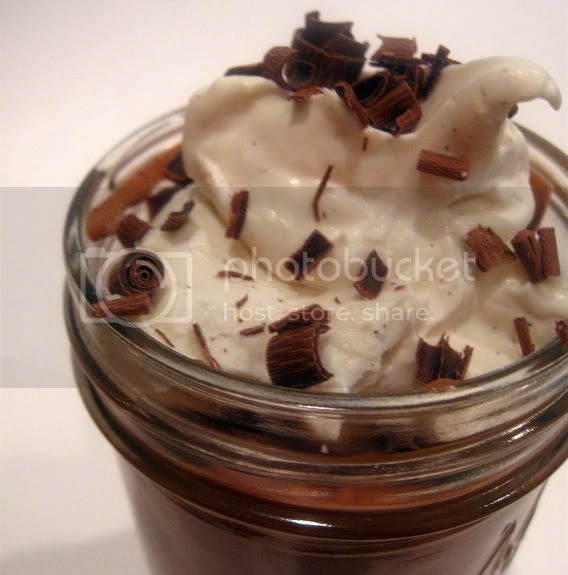 I topped the mousse with some lightly sweetened whipped cream with a little dash or vanilla and some chocolate shavings just before serving. Love the "portion control." I would just eat 3 of these! :) This looks yummy! I NEED this, tonight! lol... Your chocolate curls are absolutely perfect! Oh, and your "Mrs Random" compliment the other night, about my pic... well, that totally and absolutely made my night~ it was perfect timing in what had been less than a perfect day... thank you so much! I may have to try this one out. I love the pic with the mousse on the spoon. So tempting! Always wanted to try making this, thank you for motivating me! If it doesn't show up on my blog soon, please send me mildly threatening text messages with a guilt undertone. I've never made mousse. Looks deliciuos! I love using unusual containers. And the canning jars are perfect. Haven't made mousse in a while, but this looks tooooo good to pass up. I've yet to successfully make chocolate mousse. Maybe I'll give this recipe a try. Looks yummy! Not sure I could make this lactose free, but looks like it may be worth a try, looks fab. lol! who doesn't love chocolate mousse? this looks ultra creamy and delicious! 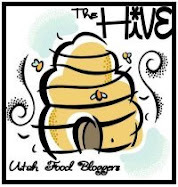 and thank you so much for your kind comment on my blog!